Are you trying to hide your activities on Internet? Tired of using complex and annoying VPN apps? Looking for some best VPN App for your Android mobile? Wow! Then you’ve landed on the right page! This post is about the best VPN app for Android and I took Rocket VPN app as this app is offering great service with tons of features and you can avail all those features totally for both paid and free versions! Great isn’t? These many VPN apps available for an android platform which let their users protect users identity or location which changing the proxies manually. So it better to have a best VPN app for your android smartphone. Thankfully, here we got Rocket VPN app which is simpler and with great features when compared to other VPN applications for Android OS. Rocket VPN app is a great app from the great Liquidum developers which is packed with lots of features. 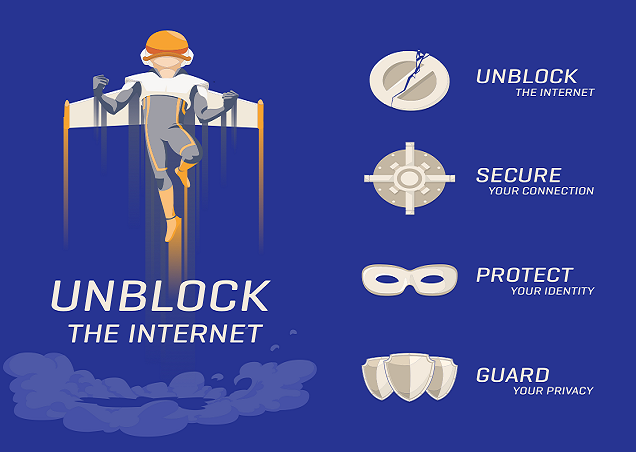 By using Rocket VPN app you can access any blocked websites or content by changing your surfing locations without leaving any traces for an online spy. The interesting part, this app hides your actual IP also it encrypts your mobile data and make your untraceable. I’ve tried this app and I feel it’s AWESOME! The best thing, you can get this app for free by choosing the free version with ads. If you don’t want such annoying ads then you can go with paid version by paying low! 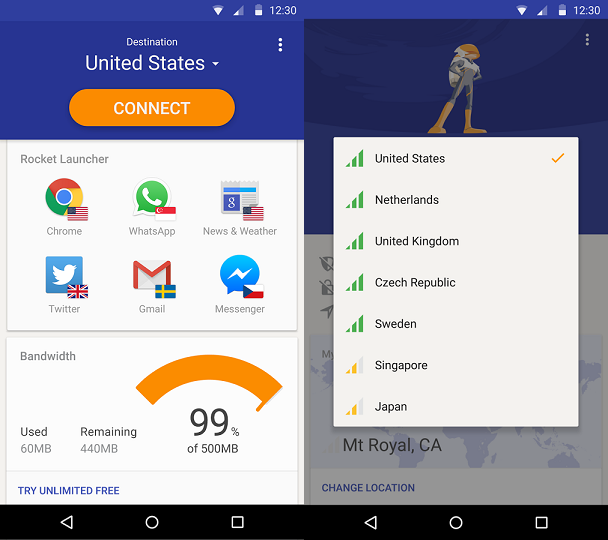 Also, I’ve mentioned some of the notable features of Rocket VPN down below for you guys. Make sure you go through this article fully to know more about Rocket VPN application! Rocket VPN features simple UI which let the users use it easily. With colourful transitions, it still makes the app so beautiful. Also, it features the Connect button which let you choose the location with the single click. Another feature which made me love is about the app unblocking. This app will unblock apps from any locations within few taps. I’ve been using this app for months, and I didn’t even found any issues with it. It offers more locations, connects in single taps and allows us to pin apps with a specific location as a one-time use. The clean user interface let you switch to several regions as you wish! This app makes sure your web surfing securely. You can do private surfing also you can access to blocked websites or web contents. This app won’t let any third party services to spy on your web usage anymore. All you information will be encrypted with few clicks. It just like surfing in Incognito Mode in browsers but by surfing with unique IP address on Rocket VPN app. One among the great feature of Rocket VPN is its Speed. Youcan check the normal connection speed and shifted region speed. The free version doesn’t have the speed increasing feature but you can gain it from Premium version. If you got paid subscription then you are getting premium bandwidth which results in faster internet connection. I’ve UnoTelly premium account and I tried it both VPN from US region and they offering great speed than the normal connection. You can access from various 10 virtual locations. Why are waiting? Just download and Install Rocket VPN Free with the monthly subscription for Unlimited version now! 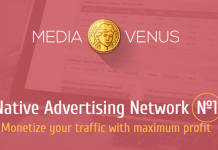 This will cost you only $2.99 USB per month where you will get unlimited faster bandwidth. In paid version, you won’t be getting any annoying advertisements! I conclude that Rocket VPN will be the best VPN apps available for all major platform, especially for Android OS. I hope you agree with my point! With clean UI and with great features this app is rocking the market. Many of my friends too using the Rocket VPN app and as of now I heard from them is “Rocket VPN is good when compared to other VPN apps”. So I guess you should give a try with free version before trying the paid subscription. What is your view about the Rocket VPN app? Let us know in comments below!